Tony Nicklinson’s recent High Court case to fight to be allowed to end his life without fear of prosecution of those who assisted that request highlighted an increasingly debated area in health and social care. Mr Nicklinson described his life as ‘dull, miserable, demeaning, undignified and intolerable’ following a stroke seven years ago which resulted in locked-in syndrome. The condition left him completely dependent on others and unable to act upon his decision to die. The judges who ruled in the court case decided that any changes to current laws would need ‘the most carefully structured safeguards’ which only parliament could decide. They stated: “Voluntary euthanasia is murder, however understandable the motives may be”. Doctors and solicitors who helped someone to die would be “at real risk of prosecution”. In the end Tony Nicklinson died at home of natural causes surrounded by his family six days following the verdict. This case however, highlights an aspect on health and social care that plays out not only in the High Court, but in the day-to-day decisions within most care settings e.g. risk verses personal choice; advance decisions to refuse treatment; tests to identify abnormalities which if positive will present both a moral and ethical dilemma for the individuals involved. The advances in medicine and technology have contributed to people living longer and being able to overcome or manage diseases and conditions that would previously have significantly limited the individuals’ life. The quality of life debate is whether, because medicine can do something, it is morally and ethically right to intervene at any cost to the individual and to society. 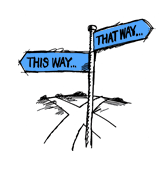 Moral dilemmas relate to those situations in life where we are challenged to analyse all we know regarding right and wrong and the impact this has on our behaviour. Morals are based on the guidance learnt through our upbringing, the dominant rules, standards and ‘norms’ set by the society in which we live. Morals relate to honour, fairness and justice and provide us with a template for living. Ethics is the study of morality’s effect on conduct or behaviour. As health and social care workers, it is important for you to be clear about your own values and beliefs. You need to think about the potential moral and ethical dilemmas your work may present. You need to consider your role and responsibility in supporting individuals faced with those dilemmas to ensure that your own values and beliefs do not impact on the objectivity you will be required to bring to those situations. If you side step this area of your work because it is ‘too difficult’ then your risk being part of the problem and not part of the solution. Before you find yourself faced with having to deal with moral and/or ethical dilemmas, raise the issue with your manager or supervisor. Taking a professional approach will lead you to discover that you are not alone and that colleagues would also benefit from discussion regarding these issues. Perhaps this is something that can be included in your next team meeting or a training session? Moral and ethical dilemmas affect everyone involved and solutions for how to deal with or resolve them can only result from open and honest discussion and an agreed shared approach. Without this all those involved are at risk of failing in their duty of care or contravening legal and organisational requirements.